Fat Tuesday (February 12th) will be the day of Tiny's release, finally! It seemed appropriate that such a large little guy have his big day on Fat Tuesday. My idea for the mold worked and he will be cast all in one piece with the resin being poured into the mold via his left hind leg/tail, so he will be super easy to clean up for shipping with no need to fit the base and deal with hoof pegs or a belly vent. I'm passing this time savings on to my customers by keeping the price at $75.00, even though he is larger than the average stablemate scale horse. He's in scale, he's just a big horse! 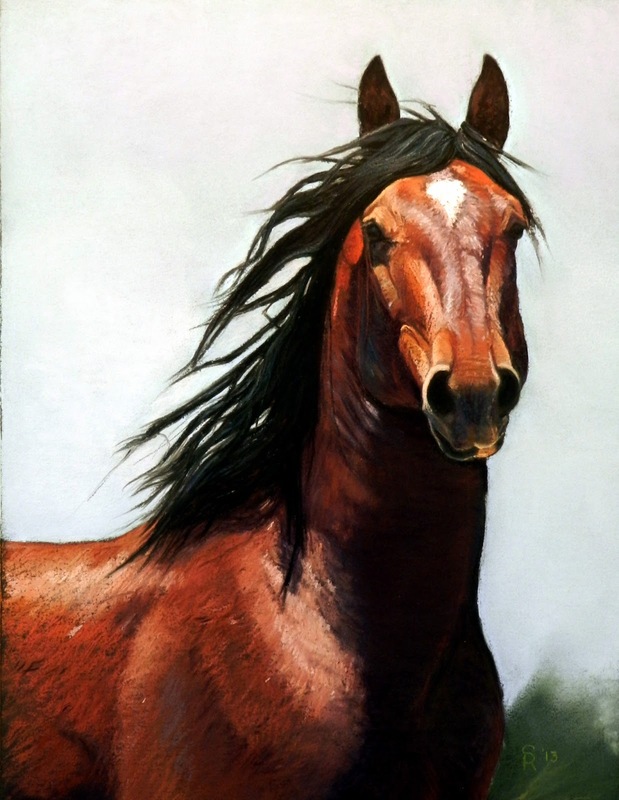 There are a few new mustang paintings, too. I have found a few photographers willing to allow paintings to be done from their photos, as well as BLM photos which are public domain. 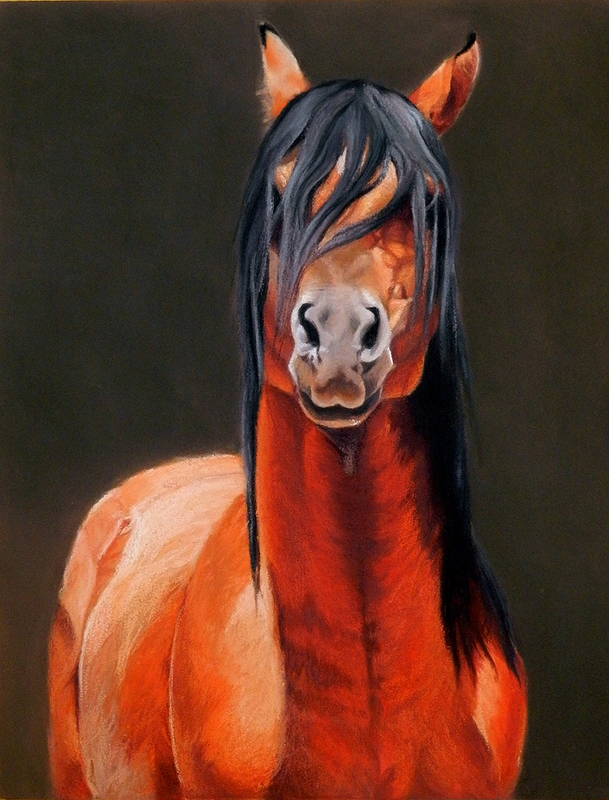 The more paintings of mustangs I do the more I want to help, even though it will only be in a small way, it all adds up right? A portion of each mustang painting sale will go to mustang charites, starting with a local group that advocates for our local mustangs by raising awareness, purchasing and setting up safe mustang handling corrals and chutes, and working with the Forest Service to eradicate noxious weeds, maintain fences, and keep the watering holes cleaned out. 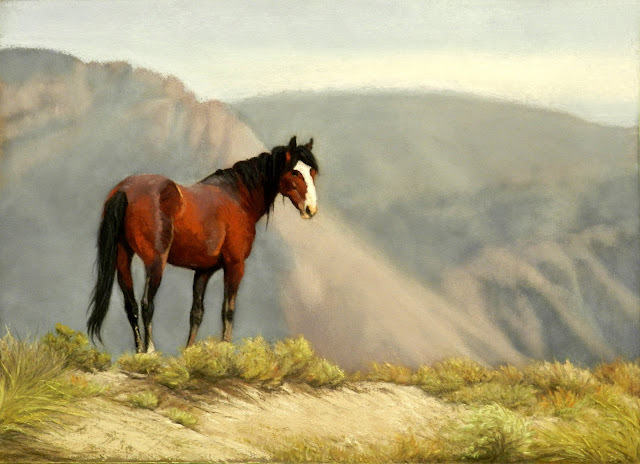 The first three mustang paintings are in the giclee print process pipeline as I type, with my goal being a 2014 calendar this fall, as well as various sizes of prints and possibly other items like note cards being available. Obviously this painting thing is becoming an obsession. Painting AND horses AND the west...I think I'm doomed.